You have just landed at the home of KitLog Pro, The Complete Builder's Resource Tool. 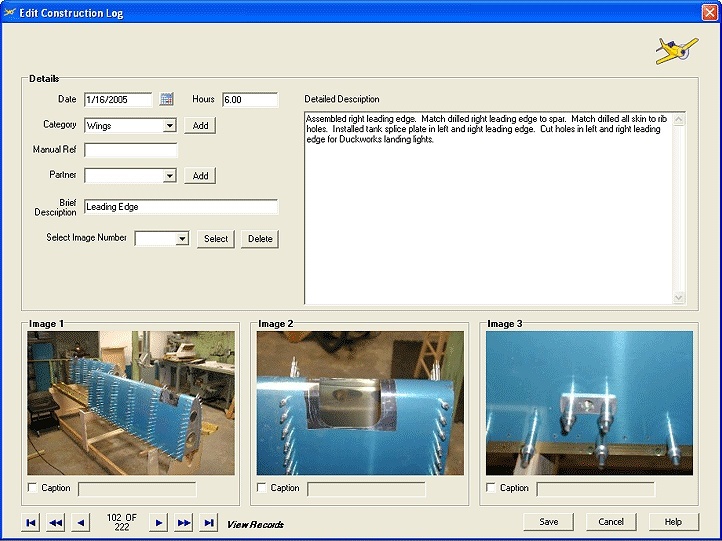 KitLog Pro is an organizational tool that allows the builder of any type of aircraft to create, archive, maintain, and display the entire building process. Whether your experimental aircraft is a plans-built EAA bi-plane, a Van's RV, a Glastar, or even a Lancair IV-P, KitLog Pro is the most efficient way to ensure that you meet the requirements of a builder's log for the certification of your home built aircraft. To learn more about what KitLog Pro can do for you, click here.